April is here, bringing with it budding blossoms and cloudless skies. If you’re enjoying the sunshine as much as we are, then you’re probably thinking about updating your décor to reflect the new season too. While it’s easy to get carried away when shopping for spring décor, especially after a particularly dreary winter, it doesn’t have to cost a ton. Just in time for Easter, we’re sharing the best budget-friendly finds for setting a chic and festive spring table. 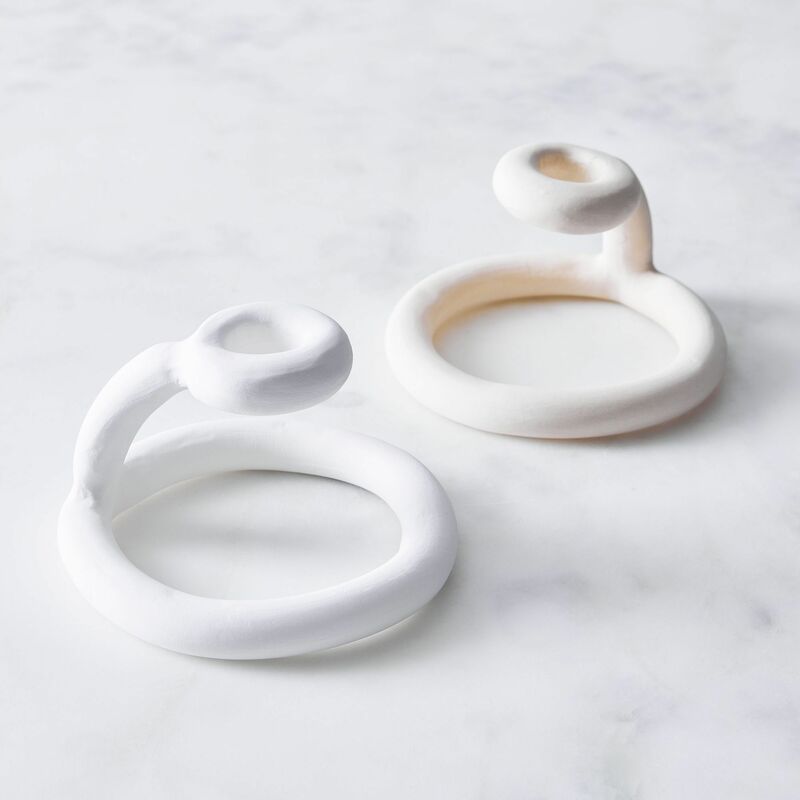 Whether you’re hosting an elaborate al fresco fête or gathering around your everyday dining table for a more intimate affair, we’ve handpicked some of our favorite affordable spring décor items that’ll carry you through the season. Our tried-and-true trick? Skimp on smaller, less-used items like table runners and glassware, spend a bit more pieces you'll use all season long like a centerpiece or a linen tablecloth, and splurge on items you’ll use forever—a new dining set or a pair of modern salt and pepper grinders. Keep scrolling to shop our edit of affordable Easter décor accents, starting at just $6. Trust us, these pieces are chic enough to leave out all spring long. 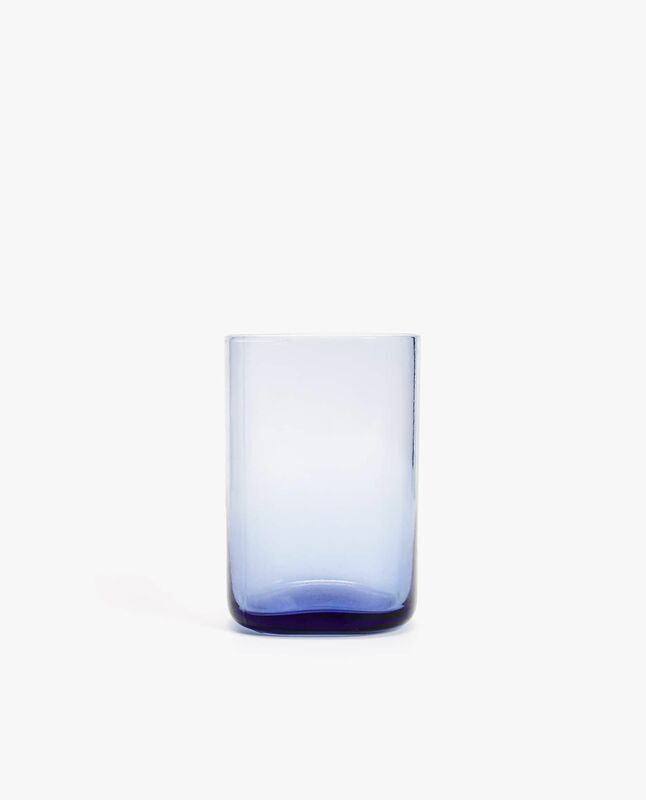 Boasting a sophisticated square design, these edgy, blue-tinted glass tumblers would elevate any spring table. At just $6 a piece, they’re a steal. 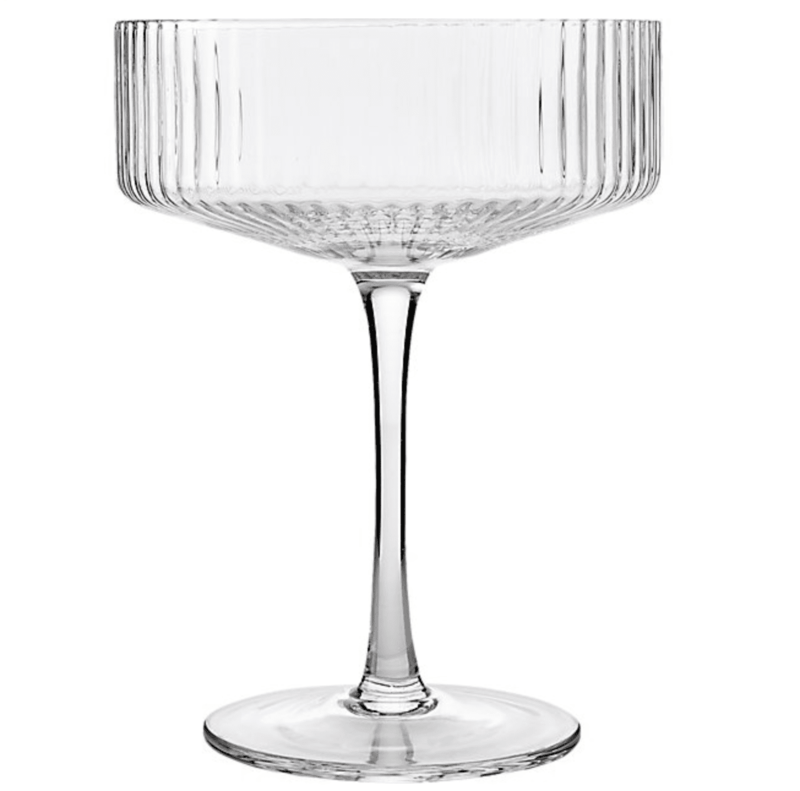 Ribbed coupe glasses exude relaxed elegance, making them ideal for an al fresco fête that calls for celebratory Champagne. 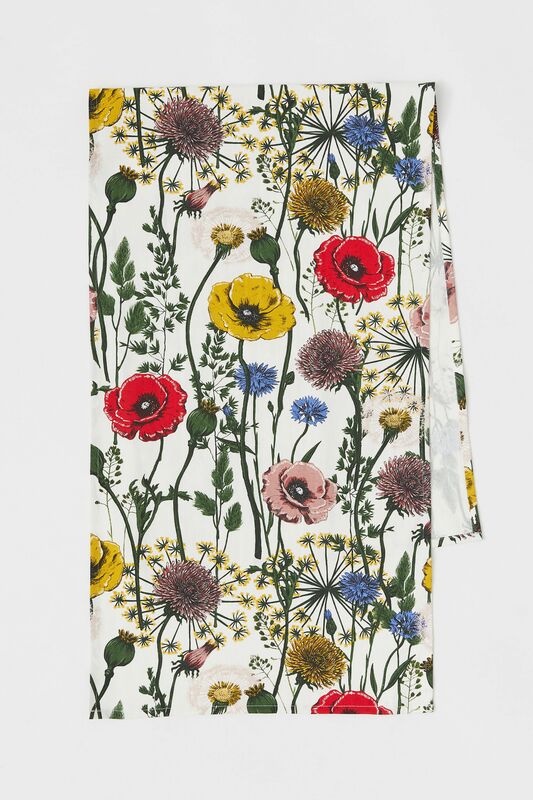 Florals for spring are hardly new, but this bold botanical table runner feels fresh. Layer it over a linen tablecloth in a complementary shade for a formal table or style it on its own for a rustic, casual look. 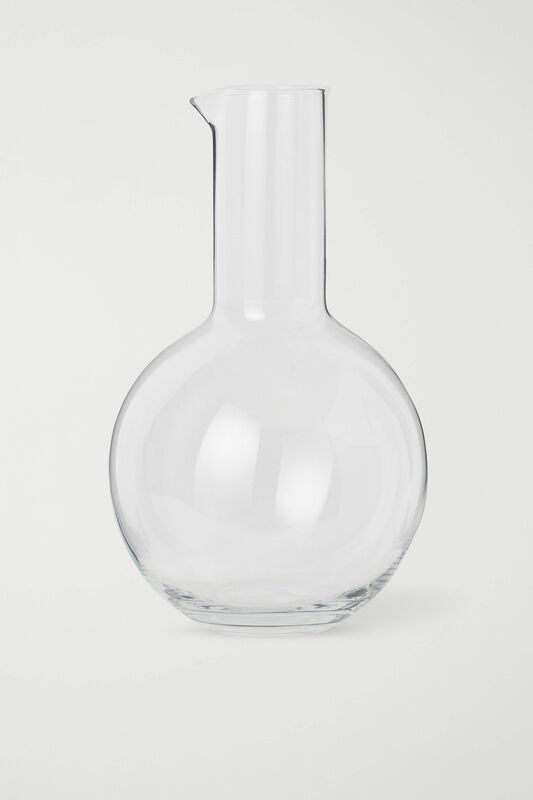 No table is complete without a chic carafe. With its modern shape, this one looks way more expensive than it actually is. 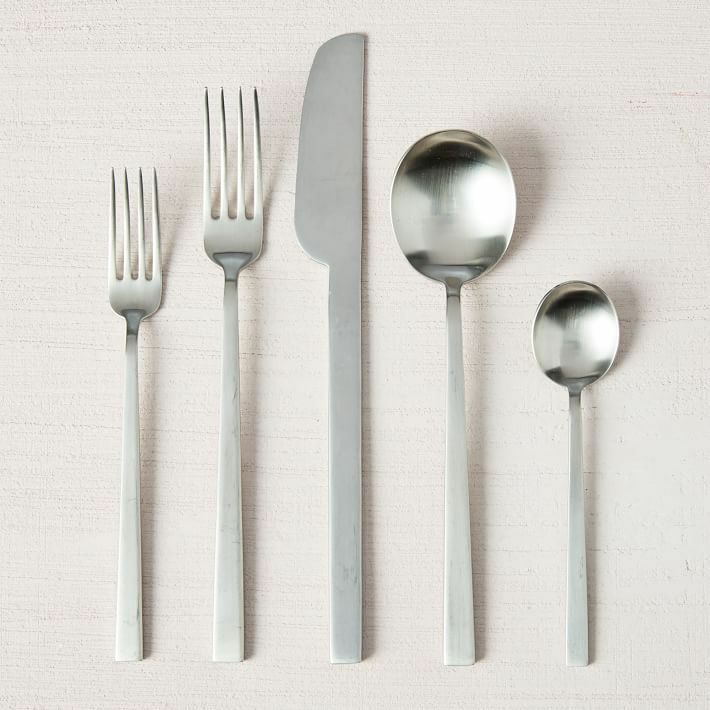 Upgrade your table setting with slim flatware in a timeless silver finish that’ll carry you through spring and the seasons to come. 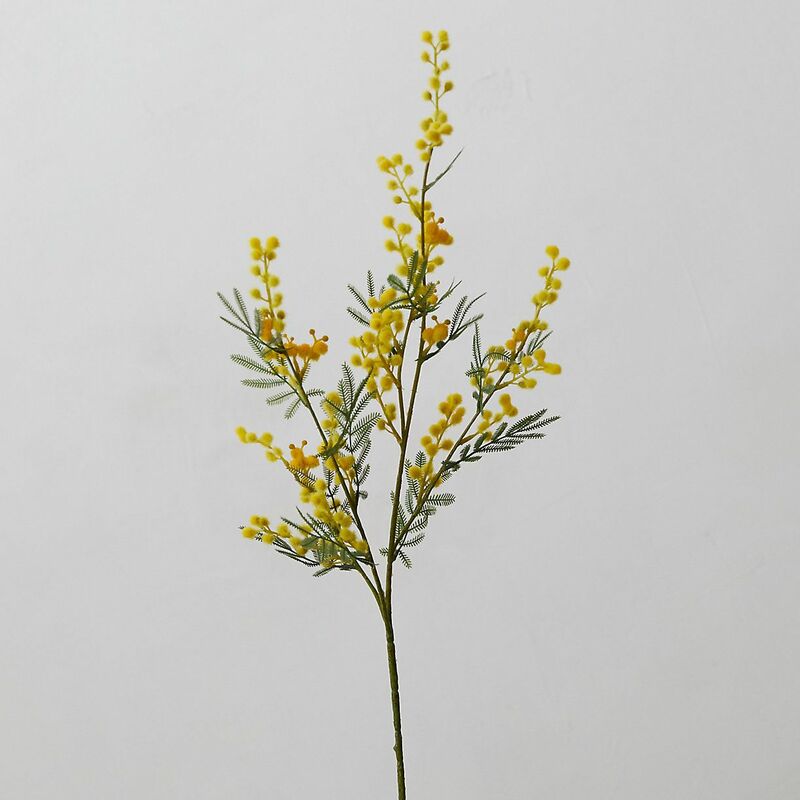 Opt for an arrangement of faux stems for a festive, natural centerpiece that won’t wilt after just one gathering. 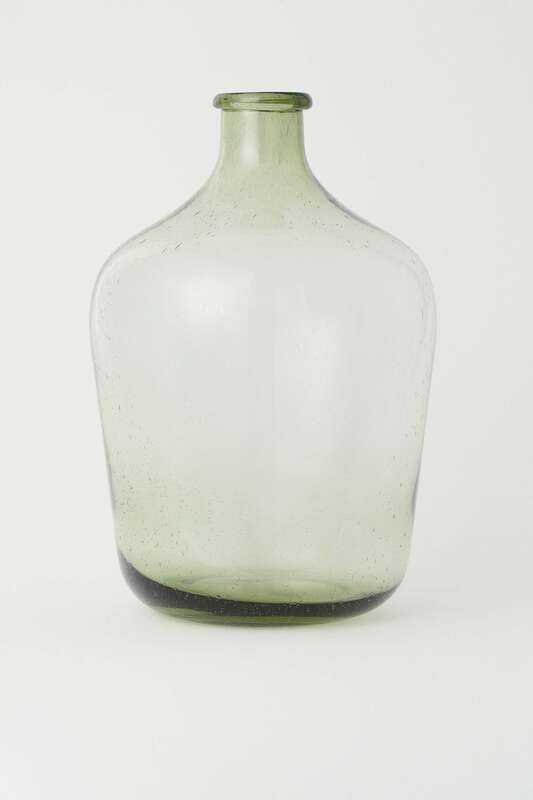 A large, round vase in a green-tinted, bubbly glass is the perfect vessel for showing off a pretty floral arrangement. Earthy and organic, these unfinished terracotta candlestick holders will add ambiance to any tabletop. 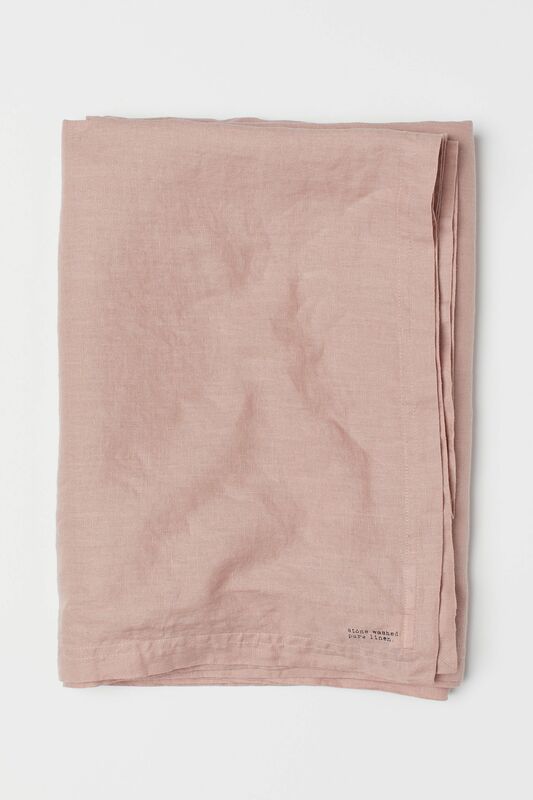 A washed linen tablecloth lends an uncontrived sophistication to any table setting. This dusty rose hue is ideal for spring. 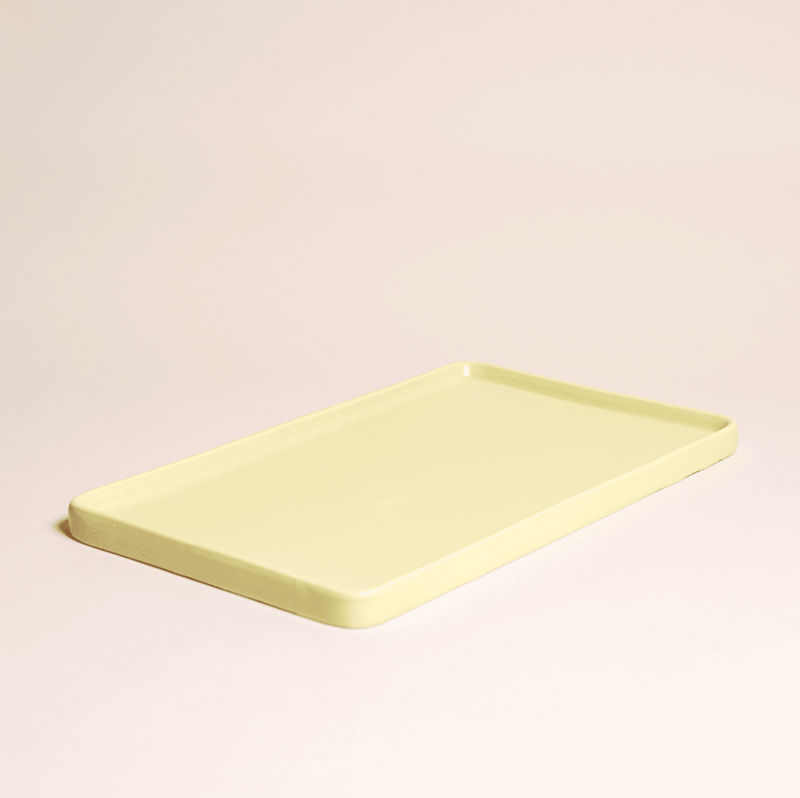 This ceramic tray comes in a wide range of pretty hues, but we’re partial to the pale yellow shade. 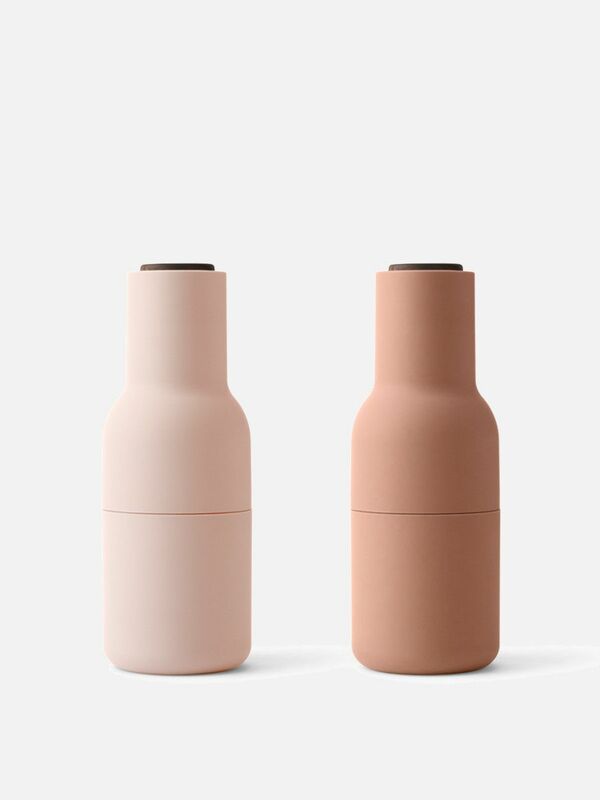 Fill it with scones for a brunch gathering. 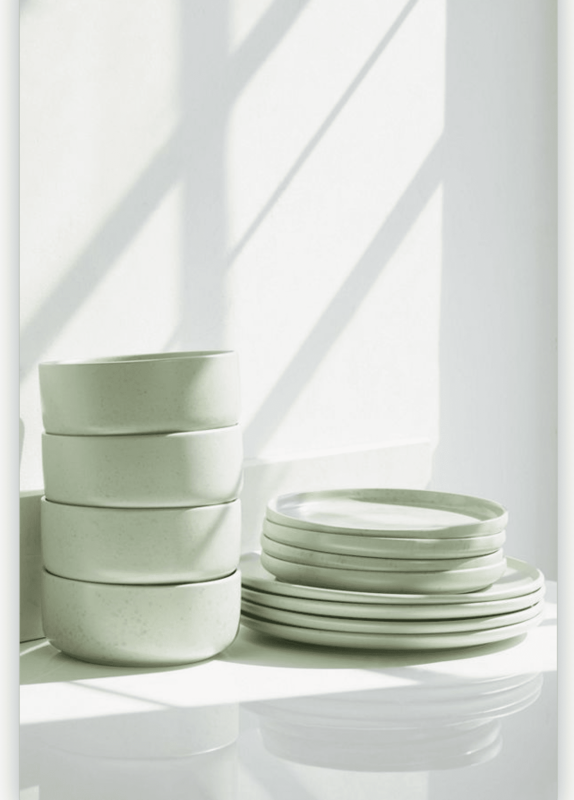 Calling it—this unexpected shade of green is the new neutral—and this insanely affordable 12-piece dining set makes it easy to bring the trending hue to your spring table. 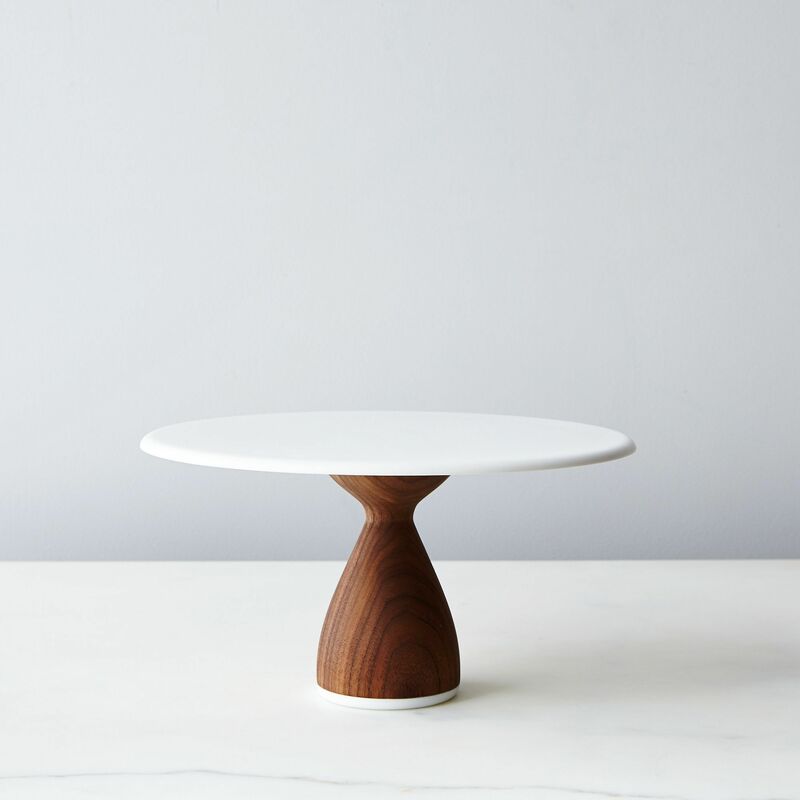 A cake stand with a wood base lends a rustic touch to any table, whether you’re serving a celebratory cake or a seasonal tart. Don’t set your table with disposable salt and pepper grinders. Instead, a set of sleek grinders will elevate your table.